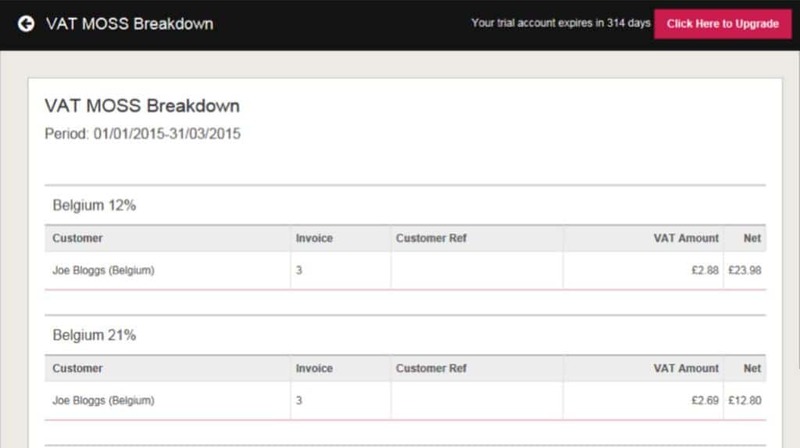 In order to submit your single VAT MOSS return, you will first need to run a VAT MOSS report within KashFlow. 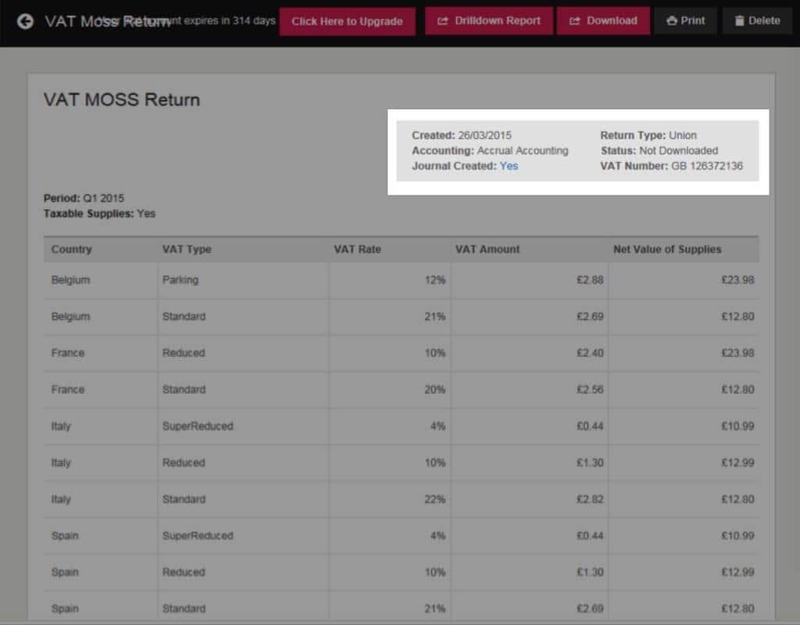 In order to generate this, click on Reports in your navigation bar and under General Reports, select VAT MOSS Reports. 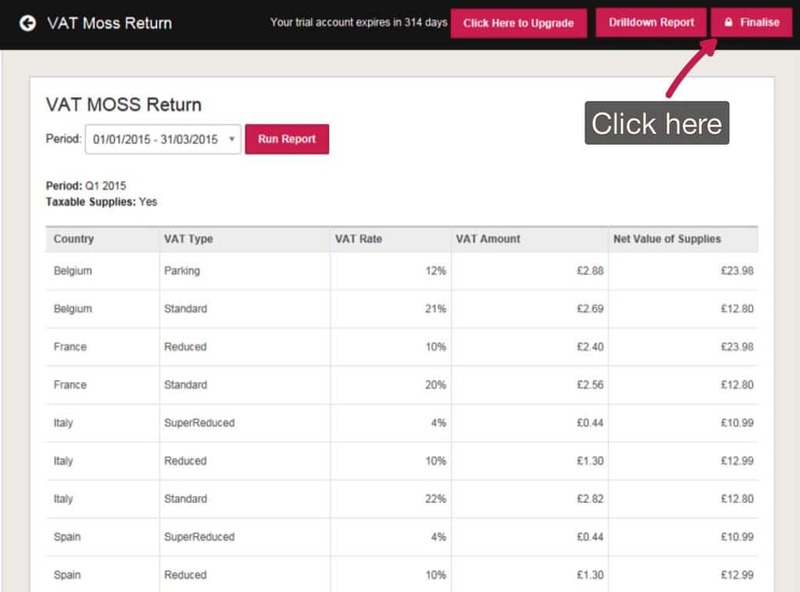 Select the option to create a New VAT MOSS Return, select your desired period and click Run Report. This will then pull digital services invoices for consumers and display them by country with the corresponding VAT rate. 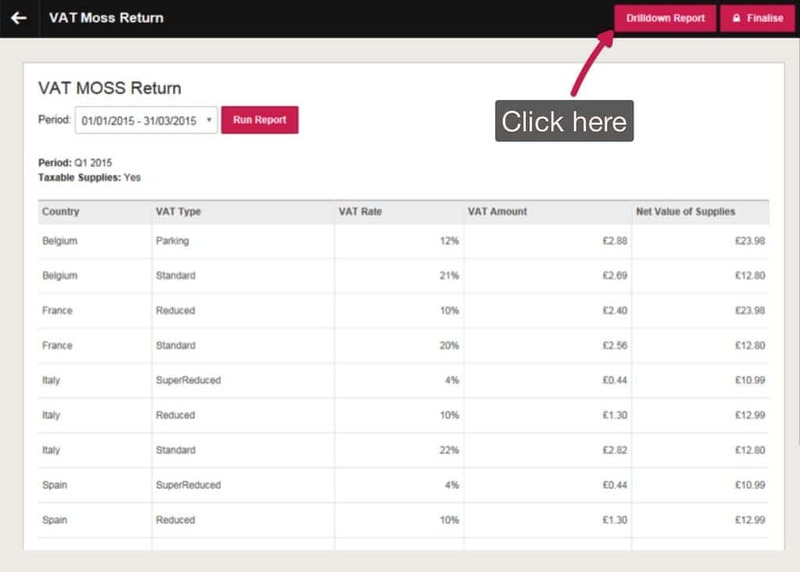 If at any point you realise a mistake on your VAT MOSS return, you can delete and re-complete your return. Returns that have been submitted can be corrected if within a 3 years and 20 days period. Once you have downloaded your VAT MOSS Report, you will need to then submit this to the HMRC using the HMRC Online Services. How you submit your return will depend upon whether you are classed as Union or Non Union. Once you have completed the templates provided, you must log into the HMRC Online Services with the User ID and password you used to register for VAT MOSS (ie the same one you use to submit UK VAT Returns) to submit your information.